Holiday shopping is tough for most of us, but it’s harder for some than others. If you consider yourself gift-giving-challenged, go easy on yourself by giving personalized gifts. We’ve selected some of our favorites to make your thoughtful gifts a little more special. Here are 5 ideas for personalized gifts. For the Traveler This cool 3-Pc. Monogram Luggage Set has an initial embroidered in orange thread on the front of each piece. 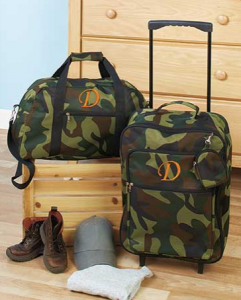 The eye-catching camo print makes this luggage stand out from the crowd. The extendable handle on the rolling suitcase locks into place for easy wheeling. It has a zippered pocket on the front, a zippered compartment and a double-zippered main compartment with a spacious interior. Attached to the suitcase is a compact, detachable clutch with a full zipper closure. The duffel bag has a front zippered pocket and a double-zippered main compartment. Includes a removable shoulder strap. Polyester. Imported. 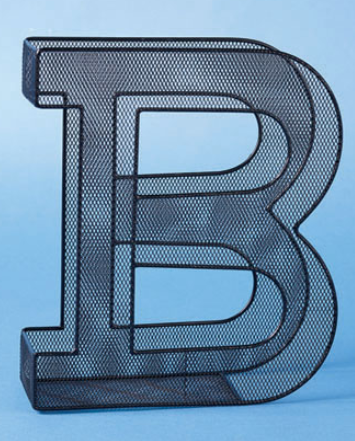 For the Worker Bee Add a personal touch to your desktop with your own monogram. 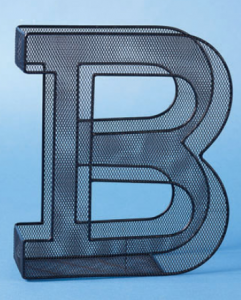 This book and magazine holder is in the shape of your monogram and made in a fashionable metal mesh. Approx. 9-3/4″ x 8-3/8″ x 3-1/8″. 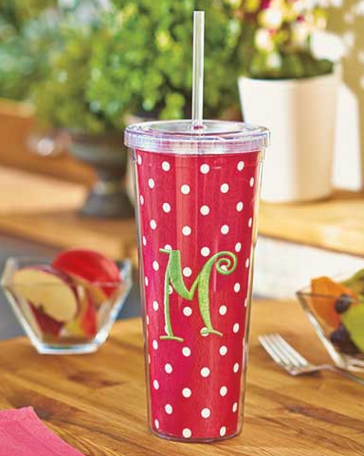 For the Thirsty Insulated Monogram Tumbler keeps your drink cool with some personal flair. A lively polka dot print is sandwiched between the double-walled insulation. It features a monogram in playful green embroidery. Includes twist-on lid and straw. 20 oz. Hand wash. Acrylic and cotton. 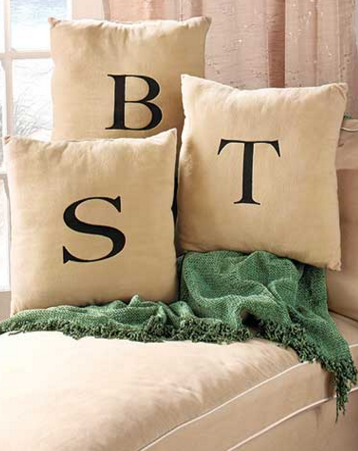 For the Home Decorator Personalize your home decor with this 18″ Monogram Fleece Pillow. This extremely soft and comfortable taupe pillow features a bold, black embroidered monogram. Polyester with polyfill. Imported. For the Reader Monogram Case for Kindle or iPad lets you carry your favorite device with a bit of personal flair. The case has a fashionable and contemporary design and opens up to reveal a 30-sheet notepad inside. Add your monogram to the cover with one of the 26 letters included. A magnetic closure keeps your device secure. Inside, there is also a slot to hold a pen. The Kindle Case (7-1/2″ x 5-3/4″ x 1-1/8″) is sized for the best-selling Kindle e-reader model. The iPad Case (10-1/2″ x 8-1/2″ x 1-1/8″) fits all versions of the popular tablet computer. 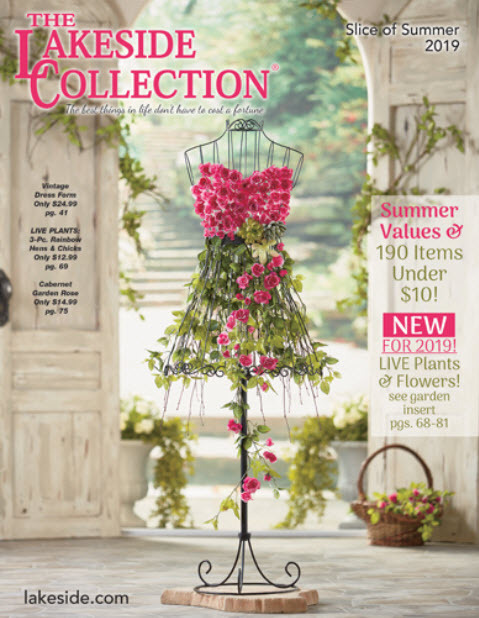 Look to the The Lakeside Collection for all your personal gifts this holiday season! We have hundreds of items at discount prices for just about everyone on your holiday shopping list. And if you’re really stumped on what to get someone, check out our Perfect Present Gift App to steer you to the right present.